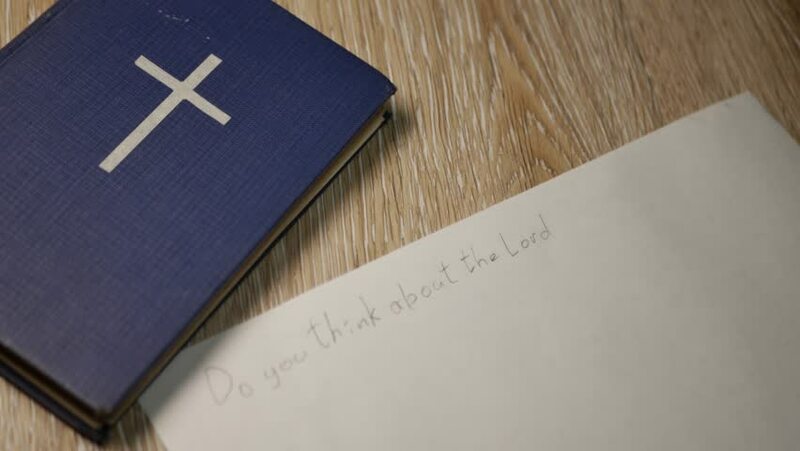 Catholic bible, a sheet of paper and a pencil on the table. Words about God written on the paper. "Do you think about the Lord a lot?" hd00:26Credit card reader extreme close up HD stock footage. A security credit card reader in macro close up with a rotational camera move set against a white background.